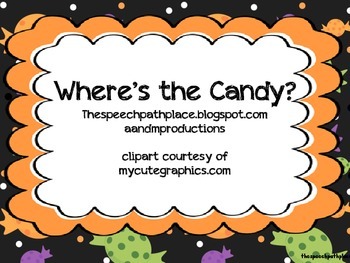 This activity follows the same template as the other preposition mini-books offered by A and M productions. 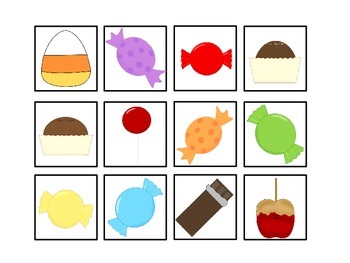 This activity includes 12 vocabulary cards and 12 fill-in-the blank cards to target prepositions. For the reinforcement activity glue or Velcro the apples into the basket. 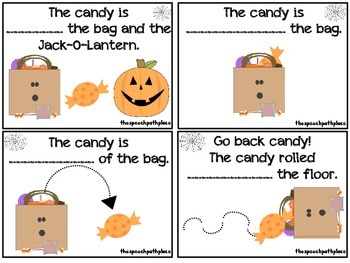 You can also make a pocket using the candy bag provided. This will allow children the ability to physically put the candy pieces inside. I recommend using a manila envelope for the pocket. 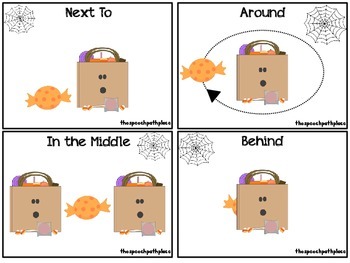 Targeted prepositions include: over, under, on top, in front, next to, in the middle, around, behind, between, inside, out, and across.